lil ones ask for ???? should say looks n feels ) better when topped on sticks. at the party I opted for a cookie truffle pop version . the features- eyeballs , nose & mouth with food markers. in melted chocolate.Gently shake off the excess chocolate. florist foam or styrofoam block to set . Method- Roughly crush the biscuits by pressing down a rolling pin. sized balls . Refrigerate for 6-7 mins. Use as required . So cute looking animals. Wonderful recipe. Buddy did you find candy melts at India??? and what chocolate did you use for these?? Did they melt down when kept outside for a long time??? @ Nithya - Candy melts are not easily available here. Used Selbourne semi sweet chocolate , but anyways u can go off with Morde, 2M or an othr locally available brand, jus remember to temper it well. Its pretty cool here in Delhi - hence they didnt melt , but surly we'l have to keep them refrigerated in scorching summers. This is beautiful. You think a newbie cook can do it? One who has never handled chocolate before? Really must try. Not difficult indeed. The truffle part is really really easy. But if you are novice to handling chocolates i would suggest you to first try out working with ( esp melting & tempering ) chocolates beforehand . 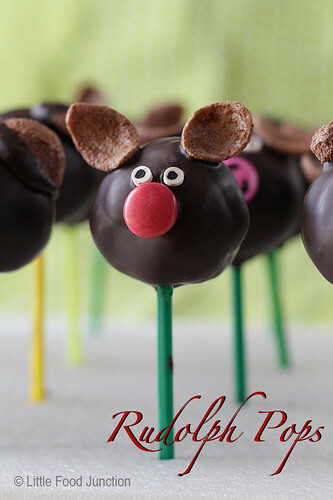 so cute and pretty animal pops !! wonderful work.. keep doing more..!! Thanks for giving me opportunities in commenting your site, especially if you want to give summary point for that. Nice time to see you. Hi . tried the brownie recipe , had marked it ages back but somehow forgot . It turned out so so wonderful . Why dont u write more about recipes .. i'm sure they'd be equally good . Thanks . Yes the best part of these is that they dnt require fats n still taste equally yummy. Thanks for all the kind words . Wow what a nice post.I am impressed from it.Can you more share with me.I have many ideas about this post.I will come back as soon. Awesome.. will try the recipe soon!! Thanks for sharing! oh how cute and creative!!! Joe Jurgielewicz & Son, Ltd. have been providing customers with the finest quality ducks for over 20 years. All natural ducks, bred specifically for the finest flavor, weight and skin available today. 2.Do u use measuring instruments 4 all ur ingredients? 3.how 2 melt choc in a double boiler? Plz let me knw d procedure..or any way i can do it in microwave 2?? 4.Is cooking choc easily available?? 5. What are food markers?? Hi Smita, just bumped on your blog and i must say ur creations are jus amazing!! I need help, as a new cook even i would be keen to know abt melting and tempering chocolates..can u pls help me with the equipment reqd and how to do? This looks really tempting and I am planning to make it for my son's 3rd b'day. Could you also let us know all the measurements you used to make 20 pops? Thanks in advance. 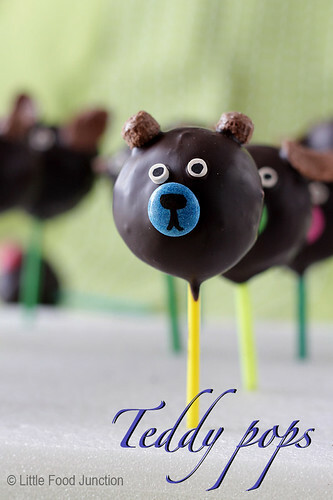 Amazing and very cute pops..Hats off to you for the Indian version of Bakerella pops..I too want to try them for my daughter's b'day..just want to know what to use for eyes in pops..what are mint holes that you mentioned ? just let me know the brand name for that..thank you..my daughter is eagerly waiting to eat them ..
moet zeggen dat het je heel goed is gelukt, heel erg goed! niet zo gemakkelijk echter het moet gezegd worden dat dit u prima is geslaagd, heel goed! this is really interesting blog..
Nice post.interesting blog.Liked the blog. Aliya , cooking chocolate is easily available in INA market, stores of Le marche , Pigmento ( in jangpura& chandni chowk) and all candy & fmgc shops in sadar bazar . Although there are many barands available bit i usually use Selbourne or morde . 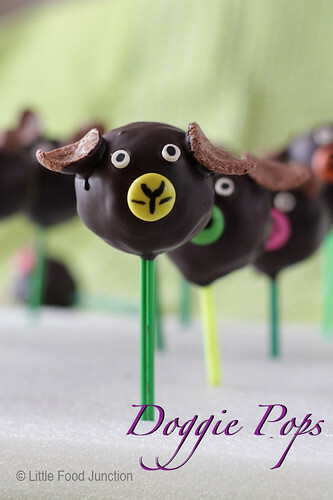 Just came across your blog.. and the cake pops look beautiful and immaculately done.. but how did you make the eyes? what are mint holes and which brand and where did u buy them from..look fwd to hearing from you soon so that i can make these ASAP. Thnx for the kind words Abhilasha..the eyes are the tiny mint holes (polo)availble at candy /dept stores. Hav made the black dots on them using an edible marker (u cud even use black food color for it). Feel free to share ur creations on our facebook page . Thanks for sharing with us great blog about Best Restaurant Deals. This looks really tempting and I am planning to make it for my son's 3rd b'day. Could you also let us know all the measurements you used to make 20 pops? what chocolate did you use for these ?? Did they melt down when kept outside for a long time??? Its fantastic to read something on cake.I really like this post. Cakes are the most beautiful gift for any occasion and it is the heart of any party. Thanks for sharing. You such a very talented person in making beautiful cakes. i Really liked it very much. 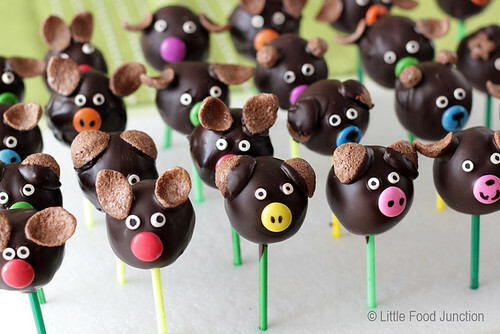 piggy pops and other chocolates cakes loved it completely. 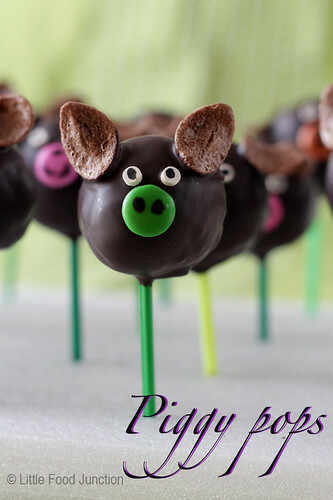 wow its awesome post i like you piggy pops design its too wonderful i'll try this at my home its so yummy thanks share this recipe..
awesome blog love this blog so much.